Knowing McCloughan’s work ethic of always evaluating talent, he will get right to work on offseason moves, starting with resigning key pieces before Free Agency begins on March 15 at 4 p.m. Here is a list of all 21 of the Washington Redskins 2016 free agents and determining who must be back or who the franchise could afford to let walk. Obviously the Redskins are going to try to sign Kirk Cousins to a multi-year deal and make him the face of the franchise. Cousins is quite possibly the best quarterback on the market, rivaled only by possibly Sam Bradford and Brock Osweiler, and will demand top dollar. For reference, here is a list of average salaries of quarterbacks who just signed in 2015. 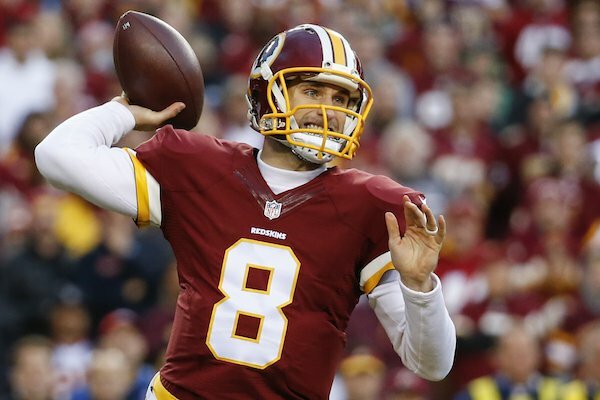 Kirk Cousins’ agents at Priority Sports will probably want at least a four year deal with more than $20 million a year, but worst case scenario the Redskins can place the franchise tag on the Michigan State product. 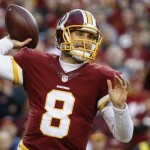 Cousins has discussed that he will go where he is wanted and the Redskins clearly want him in DC. Washington should also look to lock up backup quarterback Colt McCoy as he should not require too much money to retain, while already having a firm understanding of the offense. Besides Cousins, Terrance “Pot Roast” Knighton is the next biggest player the Redskins must lock up. Knighton did not light it up in the stats department with just 17 tackles and 1.5 sacks, but his biggest contribution is as a load in the middle of the 3-4 defense. His constant need for a double team from offensive lines is a big reason why he should be resigned as a dying breed of space eating nose tackles. Knighton has expressed his desire to return to DC, possibly because of his love for playing with his lifetime best friend Chris Baker. The status of both Will Compton and Keenan Robinson will be interesting. The former has a high IQ for the game and played better ball as the season wrapped up, while the latter is more athletic. Both play the same position and while Compton would only require a three-year veterans minimum because he is an exclusive restricted free agent, Robinson might need a decent amount of money to resign so it would not make any sense to retain both. Compton will likely be the guy the Redskins target first to fill the position simply because of his stronger player at the end of the year, which is why even once Robinson returned from injury Compton continued to start. Will Blackmon, Mason Foster, Alex Smith, Pierre Thomas, and Cary Williams were all brought in by McCloughan mid-season on one-year deals. Foster has played the best recently after Blackmon has struggled in coverage, while Smith and Thomas have only played in limited opportunities. None of these players will demand and/or require huge deals to return to DC, they were unemployed for much of the season for a reason, but Foster is the most likely of the four to lock up. Junior Galette was brought in by Scot McCloughan after being released by the New Orleans Saints following domestic violence allegations. Unfortunately the elite pass rusher blew out his Achilles during a “fluke” play nearing the end of training camps and never played a snap for the Redskins on the one-year veterans minimum deal he signed. Galette plans to be ready for OTAs while continuing to rehab at the Washington Redskins facilities. Galette said he plans on signing a long-term deal with the Redskins and “I don’t care about money. I care about getting my name back.” To show just how serious he was about staying committed to the franchise that took a risk on him, he displayed a new tattoo of the Redskins logo on his arm. Duke Ihenacho was not expected to be the Week 1 starter in the Redskins secondary when ex-Seahawks backup Jeron Johnson signed with Washington. Since fracturing his wrist that prematurely ended his season, the Redskins have experimented with both veteran DeAngelo Hall and Kyshoen Jarrett at the position. Ihenacho should not demand much money to retain and as a restricted free agent, there is a good chance the former Broncos defensive back returns to the Burgundy and Gold. When you contemplate the magical 2012 regular season, it is hard to forget how little known sixth round pick out of Florida Atlantic University burst onto the seen with a 1,600 yard season. Alfred Morris‘ production declined steadily without the running threat of Robert Griffin III and ended the 2015 season with his fewest yards per attempt average, 3.7, and did not break the century mark for the first time in his career, finishing with 751 yards. It is more likely than not that Matt Jones is the running back of the future for the Redskins, so it would not make sense to spend multiple millions of dollars annually on a backup. Unless Morris is willing to take a significant pay cut on his potential cap number to the tune of just a couple of million a year, we may have seen him play his last game as a Redskin. Chris Thompson and Darrel Young are also interesting options in the Redskins backfield. Thompson is loved as a third-down back because of his pass protections skills and has started to prove his durability through a season. That being said, his skill-set his quite vanilla and not on par with the Shane Vereen’s or Danny Woodhead’s in the league as a pass catcher. In a league where former Redskins back Roy Helu is able to make two million annually, Thompson can find work elsewhere at a more desirable income. As sad it might be, Tress Way has been one of the brightest spots of a usually disastrous Redskins special teams game. Way got Washington in the top 12 in the league in terms of net punting average the past two seasons and has a booming leg. He has the tendency to sometimes out kick the coverage, but is an above average player at the position. After two years of being the lowest paid punter in the league, the former Oklahoma Sooner would likely want to cash in. As much as it would be nice for Way to return, if he demands anymore close to three million dollars a year that a quarter of pro kickers currently do, then Washington would be wise to look for punting talent elsewhere. Players like Tom Compton, Kedric Golston, Frank Kearse, Josh LeRibeus, and Logan Paulsen are likely expendable but will likely not cost too much money to retain such that they could be kept to round out a 53-man roster. The season may be over, but District Sports Page will have you covered with all of the big news coming out of Redskins Park during the length eight-month offseason.